I didn’t keep track comprehensively of what I read last year, so I’m sure this list is incomplete. But here is a partial list along with some quick thoughts about each. Here is a similar post for 2011. Wonderful, tightly written, from the original Appendix N, highly recommended. More here. At least half of this book is really interesting, especially the depiction of the underworld and the creepy fairies. Flawed by overly earnest 60s politics. More here. Maybe the first novel based on D&D. Really quite bad though. Don’t bother unless you are really interested in the history of pulp fiction and specifically how it intersects with D&D. More here. In some ways a proto-Conan. At least one of the stories even shares a plot with a Conan story. That said, Kull is more reflective, and the setting is more detached from standard medieval fantasy, being more like the mythic ancient world. Highly recommended. The illustrated Del Rey collections are also quite attractive. More here. Conan novella. Probably needs no introduction. Exceedingly D&D in feel. I first read this in high school when I didn’t really appreciate Lovecraft. Rereading it convinced me that dungeons need more penguins. Engaging Lovecraftian dark fantasy. Quick read, flawed by bad dialogue. Great adventure ideas and setting though. Kane seems like too much of a power fantasy to me. Everything I’ve read by Vance has been excellent, and this is no exception. Lacks the poetic power and imagination of the Dying Earth stories (especially the later ones), but still wonderful. Vance is a master stylist. Excellent, surreal, beautifully written. Maybe even a bit disturbing, in a sort of cosmically nihilistic way. More affecting than Lovecraft for me, definitely (though that may have something to do Lovecraft’s presence in pop culture now). 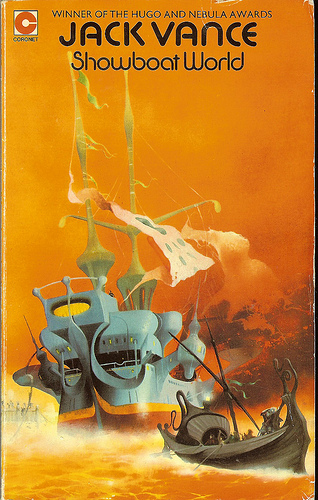 Barsoom knockoff without much else to recommend it. Despite being an Elric fan, I don’t really care for Moorcock’s writing. I read his work for the imaginative settings. Probably more worthwhile to spend your time on Burroughs or some of the other Eternal Champion Moorcock stories if you are in the mood for his brand of pulp fantasy. More here. 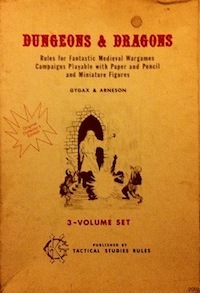 A number of D&D tropes were pulled directly from this book, so it is worth reading for the historical impact alone if you are interested in that sort of thing. Additionally, it’s actually a pretty good read, though I prefer The Broken Sword. More here. I can’t really praise this highly enough, though I haven’t gotten around to writing a blog post about it yet. Surreal, futuristic, posthuman. One of, if not the, best comic book I have read (not that I am all that widely read in this area). Here is a taste. An old favorite. Science fantasy that manifests almost all the D&D tropes through a goth lens. Read it for the setting, not the plot. Feels like it would make a good anime. More here. Some interesting ideas, but a bit slow and I didn’t care for the art (though it does gradually improve marginally). The philosophical ideas are also a bit too transparently referenced for me. Overall, my opinions on Doom Patrol are mixed. I have the next three sitting on my shelf. The Bisley covers are excellent. Gaiman’s vision of faerie land and small gods has always been appealing to me, so I enjoyed this, though it was nothing particularly special. His Sandman work and his novels are probably better. Great art, very iconic. Reads like a collection of short stories (there is not much plot continuity). I wanted to read some Superman after hearing Frank Mentzer compare high level play to the dilemma Superman faces: not how to defeat his enemies, but how to prevent those he cares about from becoming collateral damage. I wrote about this idea and how it relates to power levels before also. Maybe one of these days I’ll learn how to enjoy high level play more. The story of a paladin and the most like AD&D of perhaps any novel I have read, including books explicitly set in D&D worlds. Recommended, though it is slow in places. Be aware that there are some relatively explicit torture scenes. The only novel-length Conan story Howard wrote. Of course it is good. Like an extended comic from Heavy Metal. Feels like all of the dialogue is shouted. Visually beautiful space opera setting. Also connected to The Incal, which is drawn by Moebius and waiting on my shelf for me. See also Weapons of the Metabarons which contains this sublime image (a collection of Weapons is coming soon, I gather). Worth a regular reread. I enjoyed many aspects of Jackson’s adaptation (the coming of Smaug in the prologue, the riddle scene), but overall the movie is a bit too grandiose for this modest story. This entry was posted in Uncategorized on January 14, 2013 by Necropraxis. Great post, thanks! I always appreciate when people annotate their reading lists. Jack of Shadows is a really good one that is often overlooked. I should probably read it again. Thanks! Good to see you blogging again, too. Great list. The only thing I’d quibble with is “Kane as a power fantasy.” I suppose it’s a turn without precise definition, but normally the sort of character the charge is leveled against are successful. Kane goes through the novels (and short-stories to a lesser extent) constantly getting his plots foiled. Conan is far more successful than Kane, unless success is judged by longevity alone. I suppose that’s true, but Kane just seems to be good at everything, you know? He has the body of Conan, lives forever, is a warlock, is a strategic genius, master swordsman, etc. Conan, while perhaps more successful within the stories (though he does have plenty of reversals), feels more flawed and human. He is impetuous and uneducated. Superstitious. I have only read one Kane novel so far, so maybe the contrast between the antihero superman that is Kane and the actual results of his adventures becomes more clear after reading more of the stories. Brendan, have you read Lord Byron’s Manfred? Kane strikes me as a thwarted version of the Byronic hero. I’ve read all the Kane I can find, and I’ll agree Kane’s a power fantasy–or perhaps a Mary Sue. The comparison with Conan’s misplaced. Conan’s a dynamic character which Kane, by definition, is not. Kane’s also cursed, which Conan is not. Conan’s human, which Kane is not. I refer you to the demon-summoning scene in Darkness Weaves on that last point. I haven’t read Manfred. One of these days! Thwarted Byronic hero makes sense. Good points. I pretty much agree, though the visual depictions of Kane mean that he is fated to be compared to Conan. I sold all my Metabarons comics a few years back – I just couldn’t understand them at all. Paleo-Christ! I’d exclaim, after finishing an issue, what is this all about? Hodgson’s The Night Land is one of the most D&D-inspirational books ever. Kind of a tough slog but totally worth it. Yeah, The Night Land is definitely on my list, I just haven’t gotten around to it yet.